This is not your typical refrigerator or memory ribbon magnetic; this is extra durable 30 mil Durabond TM magnetic vinyl sheeting. The Red Cross is screen printed using the best quality out door inks for the longest lasting outdoor life possible. Magnetic signs are usually rated for 2 years exterior use. They should be put on a clean flat metal surface (no plastic filler, bondo). When vehicle is cleaned, they should be removed and backs wiped before applying to dry vehicle. Magnetics should not be placed on a vehicle under 55 degrees F., but once they are on, they will stay on in freezing conditions. 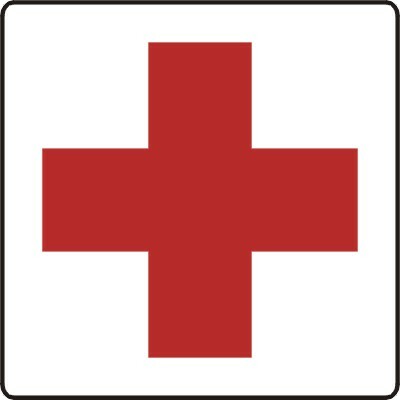 Our Red Cross magnetic signs are a quick and easy way for military, paramedic and emergency response vehicles to identify themselves. first aid vehicles so people can quickly see where to go for help.